Sean McGowan was born in, and lived in, Alexandria Virginia until he graduated from T.C. Williams High School in 1979. Attending George Mason University until he was old enough to apply to the Alexandria Police Department, Sean started his law enforcement career at age twenty two. Twenty five years of police work in Alexandria consisted of six years in patrol, sixteen years in CSI and his final three years riding a department Harley Davidson in the Motor unit. During his time working for Alexandria he met and married fellow officer Patricia Barrett. Patricia and Sean have been blessed with two daughters, Amy and Lauren. Sean Completed a degree in Criminal Justice Agency Administration from Park College while serving part time in the Coast Guard Reserve in 1990. Sean served as the first president of the Alexandria Chapter of the PBA, just part of his many years of labor leadership in Alexandria. Sean retired from the Alexandria Police Department on May 29, 2009 and reported to his first SSPBA board meeting on June 4, 2009 in his new role as Executive Director of the Virginia Division. 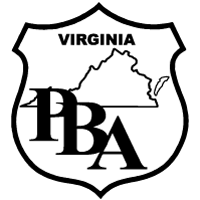 "I am truly proud to be given the opportunity to represent the Southern States Police Benevolent Association in Virginia. The Virginia Division is strong, involved and growing. The support for law enforcement professionals and their families provided by the SSPBA is second to none. I am honored to serve our members, all of whom I consider to be heros."